We all know that animals and people shouldn't be exposed to poisons. The obvious ones like chemical fertilizers and pesticides seem pretty easy to avoid. But what else lurks in your home that may cause endocrine disruption, cellular mutation, immune system disturbance, allergies, and even chronic illness? Where do those "idiopathic" or "unspecified" illnesses originate? One of the biggest culprits is synthetic toxins. How do we easily identify them? What can we use instead once we find them? 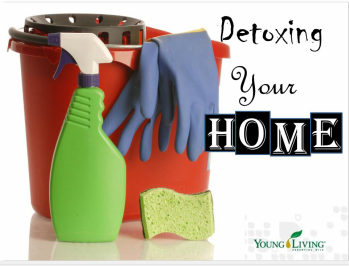 Come to this fun class to pick up some great tips to detox your home and replace toxins with safe and even healthful alternatives. No chemistry degree required! We'll make it easy and fun, and provide you with some product choices that are easy to either make or purchase to protect your animals and family in your own home. Classes are being held currently on Facebook. Contact us for next class date!